February 26th marks the first anniversary of Soul Gatherings. What a journey this has been… It still surprises me that almost 600 followers actually check in from time to time to read my posts and daily quotes. Almost 18,000 views from 99 different countries. I’m humbled. I feel such an obligation to the popularity of the daily quotes that I’ve purchased 10 different books related solely to finding the most inspirational, motivational, thought-provoking quotes for my readers. Ka ching!!! If I had to choose one word to describe the action of giving birth to Soul Gatherings, it would be “remembrance.” So many of my posts have been remembering people whom I’ve met, who have touched my life in some way. My readers have remembered these special people along with me, and in doing so, honored their memory. Another word to describe this creation would be Light. Light shining into the broken places. Light building until the darkness is set ablaze with flames and sparks and life. Watchfires to light the passages of a journey begun, a beacon on the distant horizon. Of hope. Always hope to light the way so that healing might begin. Remembrance. Light. Hope. Inspiration. Support. Encouragement. Presence. Thank you so much; blessings. 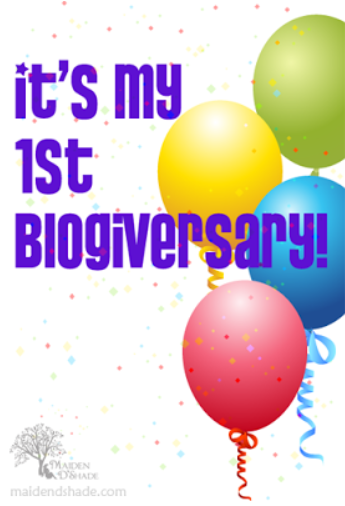 happy biogiversary!!! love your posts and blog! keep ’em coming! Thank you so much, Eddie, for your kind words. Namaste. Congrats and wishing you many more happy blogging years. Mine is coming up around May. Thank you for your kindness; blessings to you. Happy Anniversary Dear Friend! Congratulations…and I do hope you continue writing your wonderful posts and sharing that Be-You-tiful Soul with us all. You are cherished! Blessings! Congratulations! 🙂 A year of poignant, loving brilliance. Here’s to another grand year! Blessings, my friend, and thanks… Namaste. I enjoyed the past year and am looking forward to the next! Thank you so much for your kind words, Elaine. Happy Anniversary, Theresa, congratulations… I hope you continue writing your wonderful posts and sharing your great,Soul with us all for à longs years. Blessings! Congratulations on your blogiversary, too! Hope everyone’s creativity keeps flowing. Happy Blogoversary Theresa, you’ve done well in your endeavours to spread the light around. Laurie – what a lovely way to describe my blog’s purpose – to “spread the light around.” My thanks. It’s true Theresa, every little bit helps you know. A belated Happy, Happy anniversary. 🙂 Lovely words and so true. May you have many more years of blogging with friends and strangers. Thank you! To get started, I would buy a brief book on how to blog for the mechanics of it. Read it. What do you want your blog to be – like a personal journal? political? inspirational? movie & book reviews? short stories? chapters of your book? pets? Write what you know and are passionate about, and write from the heart. If you write something you’d like to read, others will like to read it, too. Try not to get hung up on how many followers or likes that you get; it’s not a competition. As for free or paid blogs, I’ve had no problems with WordPress. Good luck and make sure to let me know the location and title of your blog once you get it going. I missed your anniversary here, but want to say a belated Congrats. It’s always good to find someone who sticks with their project. This is a very, very good piece of work. Thank you for stopping by. Welcome to Soul Gatherings!